Following a May 2018 presentation to members of its planning group, the Parish Council is pleased to publish this update on current proposals by St Mary’s PCC to continue the process of enhancing and modernising the fabric of the parish’s historic church. The Buildings group of St Mary’s PCC have thoroughly reworked previous improvement proposals, to clarify and achieve key priorities. Details of the changes – most of which are internal and do not require planning permission – are set out in this Project Status document. These internal works include improving wheelchair accessibility and making the layout of seating more convenient and facilitative for concerts and other celebratory events. 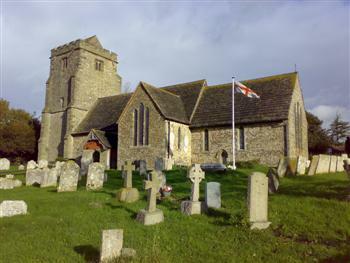 The external aspects of these works will be subject to an expected planning application and will feature a new small extension on the north side of the church, to replace the existing vestry and boiler house with a new vestry area and two WCs. The layout of the proposed new extension and other works mentioned above can be seen in this plan. It is hoped that a planning application for the new extension will be made during the summer, with works commencing in early Autumn 2018. A local consultation event is planned for the morning of Sunday 22 July 2018, in St Mary’s Church Rooms. Find out more about what’s happening at St Mary’s via their website.